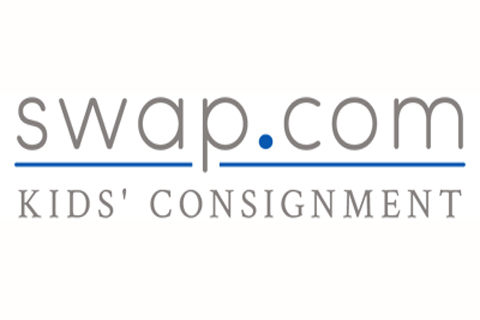 Swap.com an online consignment space where parents can buy secondhand kids’ clothing, gear, books, toys, games and more has raised $4 million in funding for its website. Here’s what Swap.com has to say about their services, “Swap.com is the first online consumer-to-consumer department store where you can buy, sell and swap pre-owned items. The online consignment sales model lets item owners get more value for their items while combining the convenience and enjoyment of online shopping with the effortlessness of getting rid of items at a local thrift or consignment store”. Dr. Juha Koponen, the CEO and Co-founder explains that Swap.com operates as a true consignment store, whereas most of its competitors do not. First they accept all brands rather than just limiting themselves to just high-end apparel. They also allow customers to sell non-clothing items like baby gear, books, toys, games, decor, movies and music, sport equipment, and also maternity clothes. Swap’s competitors basically want you to ship your goods to them, where they pay you for them, or a peer to peer marketplace occurs. At Swap, they only pay you after the item is purchased by another shopper, and they support swapping since a swapper can receive more for items on their site. They only take 20% and a dollar for every item it sells. Swaps are free on Swap.com but the company does charge another flat fee for sorting, photographing, storing and listing items on sellers’ behalf. It behooves the customer to send in larger lots rather single items, the fees could eat away at any additional profits you could make here over a competitors’ site. Dr. Koponen thinks Swap.com’s “secret sauce” will be the reason for its success, which happens to be increased efficiencies on the fulfillment side of its business compared to their competitors. The current report from Swap.com says they have been growing 20% each month since 2013, this of course happening after Swap was bought by European swapping site Netcycler. They created a fulfillment center in Illinois for the ease of shipping to the East and West coast. At present they appear to be adding 50,000 new items monthly, with the site having 150,000 items right now. The first round investors are Marc Onetto, former VP of Worldwide Operations and Customer Service at Amazon.com, Ari Hypponen (first employee at F-Secure), Ahti Heinla (Skype founding engineer), Jaan Tallinn (Skype and Kazaa founding engineer), and Cleantech Invest Plc. Looking at this list of names make you want to run out and send your resume, doesn’t it? Always good to try to get in on something when it’s starting, never know what the opportunities are. Let’s not forget about the fact if you’ve got some kids or old stuff lying around, go and get busy.